Beautiful white glass & ceramic hurricane features floral cutouts that reveal the flickering light within. This hurricane adds such lovely texture and light to a room. With glass accessory encased in an elegant base of white ceramics is exceptionally beautiful. 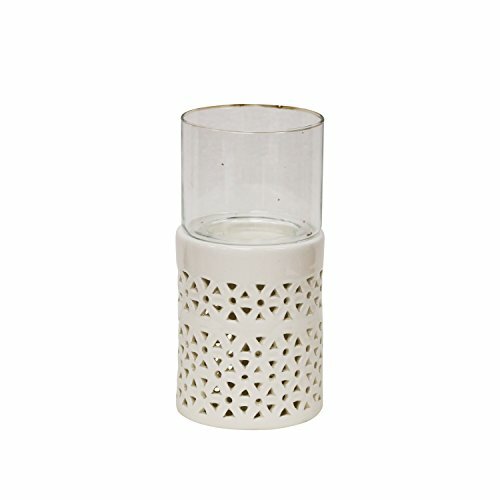 Burn your favorite candle inside this votive for Peace and balance in your home.